I find it difficult to find good quality frozen ravioli and cannelloni in Melbourne. There are many times when I want nothing more than to enjoy a glass of wine and an episode of Top Chef, without worrying about making dinner. I have poked and prodded at this product in Thomas Dux, and wondered how on earth they could charge $18-$20 dollars for frozen pasta. After trying it, I now know why. I bought the pumpkin, brie and gruyere ravioli. What a treat. Cooked simply with a burnt butter and sage sauce, the flavour of the pumpkin and cheeses are matched perfectly. 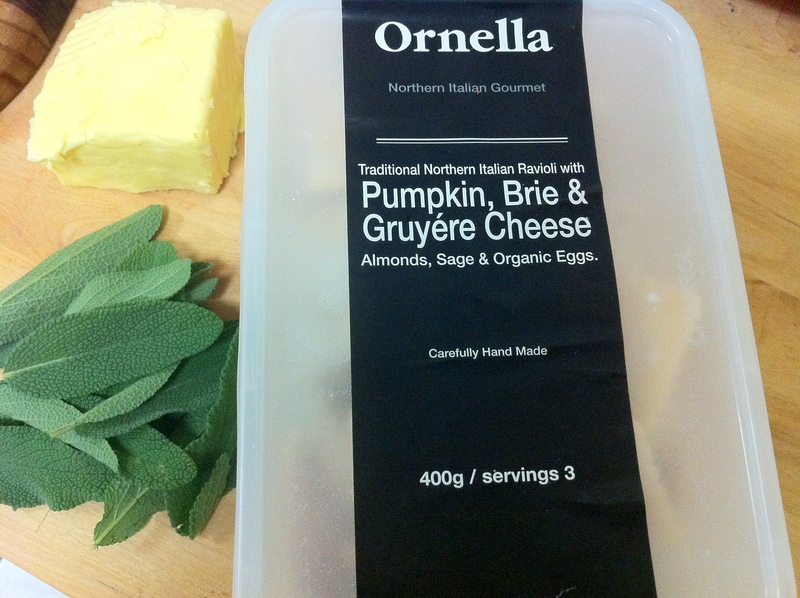 Made easily by melting butter till brown, then adding a handful of sage leaves to crisp up. Stirring the pasta through just before serving. Although I would like to have tasted more of the brie flavour, this was one of the best frozen ravioli packs I have tried. However, the serving size was dissapointing, this pasta barely serves two hungry people. Most frozen pasta is avaliable in 500 grams, Ornella comes in a 300 gram container. Increasing the serving size to 500 grams would be a good option for Ornella. The pasta is created by a mother and son duo, Ornella Fissore and Valerio Vittone. Their philosophy is to use organic or top quality ingrediants and to preserve northern Italian egg pasta making techniques. Made using whole organic eggs, they apply Slow Food philosophies to their pasta making style; to enjoy making every piece of pasta slowly, by hand, with love. Ornella pasta is avaliable at specialty food stores. ← Coconut & citrus syrup cake. 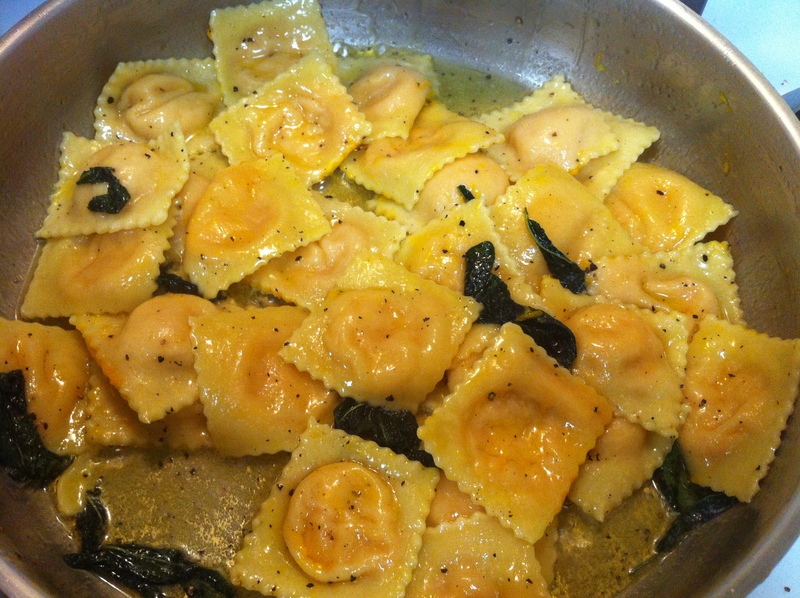 I found they raviolis are perfect size for a few people as a delicate entree. The Cannelloni is fantastic also, best quality tasting pasta i’ve had outside a restaurant. Makes me wish i came from an Italian background with an italian mamma putting this on the table when i was growing up!